The most common type of knee arthritis experienced by athletes and people with active lifestyles is osteoarthritis of the knee or knee OA. Knee osteoarthritis is a degenerative disease where the cartilage in the knee joint wears down over time. The cartilage that was there to help cushion and protect your knee has lessened, causing bone on bone contact and rubbing which causes the pain you feel in your knee. Your knee may crack, swell, and feel tender. Treatment can help you get pain relief. Combine cold therapy, anti-inflammatory medication, and bracing to reduce pain and maintain range of motion. 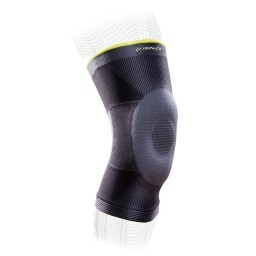 A knee brace for arthritis can help unload the pain in your knee, keep the joint warm, and provide compression and support so that you can stay active and pain-free.